Grab a red pen and get ready to whip your college application into shape. You need to edit your college application—not just the essay but the whole thing. Because everyone makes mistakes, and those mistakes can cost you. Granted, if you use a comma when you should’ve used a semicolon, it’s not the end of the world. But a college application with multiple grammar errors, confusing answers, and a sloppy essay will hurt your chances of admission. You need to show admission reps you’re college material. That means writing coherent sentences, using proper spelling and grammar, and answering questions fully and accurately. 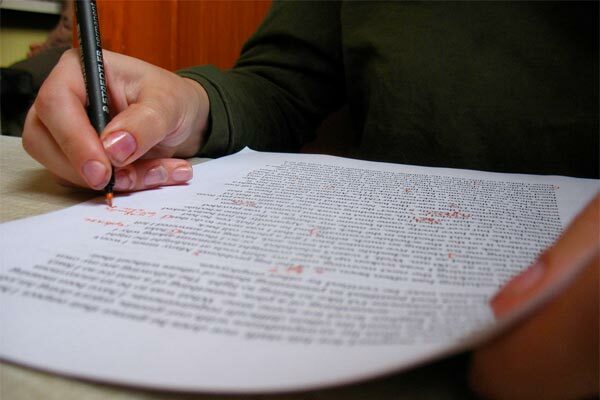 Editing your application for content and proofreading it for errors will help you do that. Really, you’re not just checking your college application for poor punctuation—you’re editing for your future! (No pressure.) But I promise it’s not that hard to do. These tips should help. I repeat: don't trust spellcheck! Don’t trust grammar check either. Yes, pay attention to those red and green squiggly lines when you see them, but remember they won’t catch everything. They even make mistakes too! It’s up to you to make sure your college application is truly error free. Don’t edit right away. After you’ve finished filling out your application or a draft of your essay, take a break. (I’d give it at least an hour, if not a day.) You’ll come back with fresh eyes and a fresh perspective—which are better for catching mistakes. Make sure you’re in the right editing mindset and environment before diving in. Whether you’re reviewing your application on a computer or printed copy, set aside some time just for editing and find a quiet place to do it. Its/it’s: “Its” is an adjective used to describe possession; “it’s” is a contraction of “it is.” For example: The car had lost its value. It’s 15 years old. There/they’re/their: “There” is an adverb used to describe a place. “They’re” is the contraction of “they are.” And “their” is an adjective used to describe possession. For example: They’re tired of taking their old car all the way over there to the repair shop. Your/you’re: “Your” is used to describe possession; “you’re” is a contraction of “you are.” For example: You’re talking too much about your car. Freshman/freshmen: “Freshman” is both the singular of “freshmen” and the adjective form. “Freshmen” is a plural noun. For example: I’m glad I can have my car on campus freshman year. The other freshmen will be so jealous. Semicolons/colons: Semicolons (;) separate complete but related sentences or a series of items within a series. (This comic explains semicolons better than I ever could.) Colons (:) introduce a supporting thought or examples. For example: He brought everything we needed for a road trip: snacks, snacks, and more snacks. Read slowwwwwly. Like, painfully slowly. It will feel weird, but it will help you catch more errors. Read aloud. This is one of my favorite editing tricks, because it’s so easy but so effective. You will hear when your writing sounds confusing, and you’ll pick up on missing words. Read backwards. Your brain will see the words differently. This isn’t a good tactic for editing for content or overall “flow,” of course, but you may see missing punctuation and other oddities. Go over your college application multiple times, and look for different things each time. For example, review your application one time for content, making sure you sound as smart and college-ready as you are, and another time for nitty-gritty grammar mistakes. Even if you’re the rock star of your English class, you should still have someone else edit your application. (Even editors need editors, trust.) This is important not just so they can catch any spelling or grammar errors you missed but because they can give you an overall critique of your application, ensuring you answered the prompts correctly, are representing yourself well, etc. PSS This post originally appeared on The College Essayist blog. Check them out!